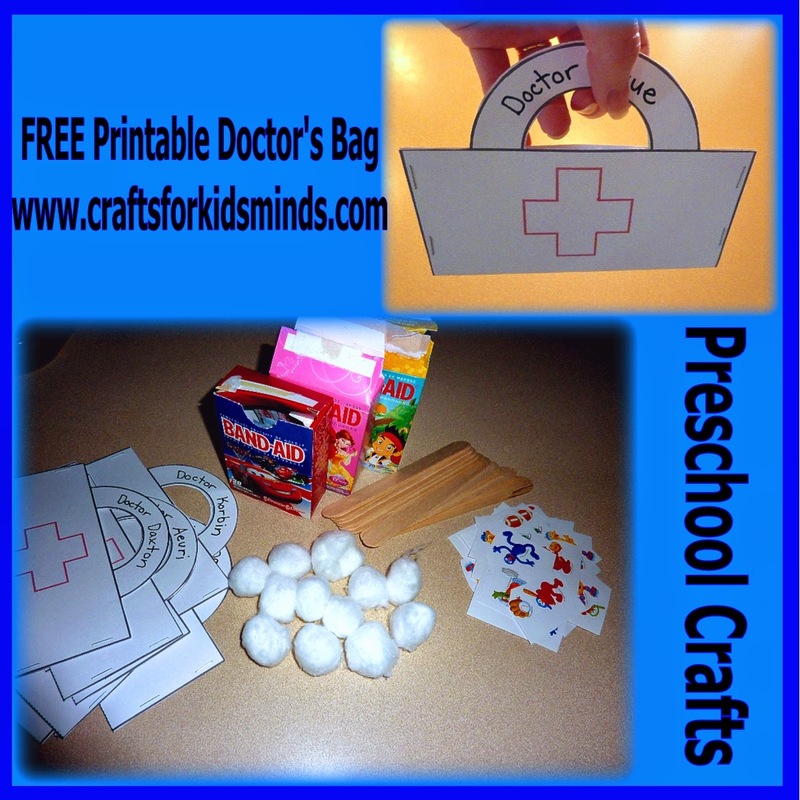 Click on the link: Doctor Bag Printable for a free printable template. Print on cardstock then cut it out. Fold in half and staple or glue the sides together. Fill with fun items for the children to pretend to be a doctor. I used bandaids, cotton balls, craft sticks & stickers.